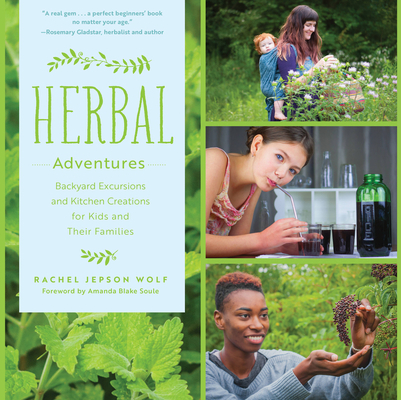 Herbal Adventures is the perfect guidebook to plant-based fun for families with children. The beauty on each page of Herbal Adventures makes me desperate to create! Rachel keeps the projects accessible and the photographs are stunning. This book is sure to be well-used and well-loved. Like stumbling upon a hidden brook on a bright summer’s day, this book is a refreshing treasure for the earth-curious child and the young-at-heart of every age. Rachel shows us how the natural world is the real fairy tale, and how much closer we are to that magic than we think. If you’ve ever wanted a friendly guide to connecting your family to the plants that sustain and heal us, look no further. Herbal Adventures has everything I appreciate in a good herb book: sound practical information and great remedies and recipes, all enhanced by personal stories and insights. This may be my new favorite!